That was Adrien’s birthday. We were invited to his parents’ house and I was taking care of the dessert. I am currently studying for a project management exam and I had no time to bake something special. Thanksfully one of Adrien’s favourite cake is really easy and fast to bake and I still had a jar of rhubarb and strawberries jam left. 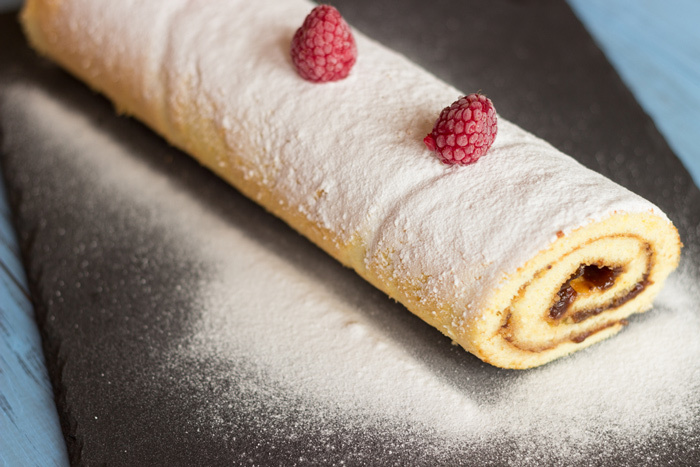 I woke up this morning and I immediatly baked this delicious jelly roll cake. That was my first time. We usually bought one in the supermarket when we were receiving a bunch of friends with nothing planned for dessert. To be honest, I never really enjoyed eating these ready cakes and not understood what Adrien could find so tasty about them. Anyway, as a nice spouse, I wanted to bake him something he really liked. His family loved this cake so much that they eat the all cake in less than 10 minutes. True story. I have to admit, it was delicious. I was affraid that the biscuit become too dry; but that was not the case. Simply delicious. That could be a great idea as well for Christmas ! Beat egg yolks with sugar and vanilla sugar until pale yellow. Add flour and baking powder. Mix until you get an homogeneous paste. Whisk egg whites until foamy. 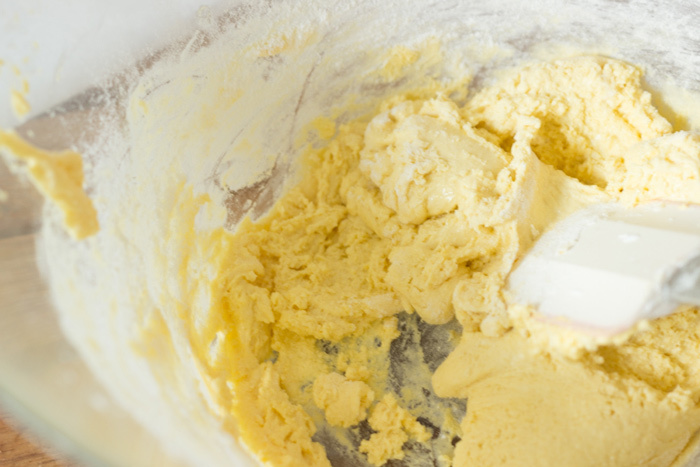 Incorporate delicately in the previous mixture. 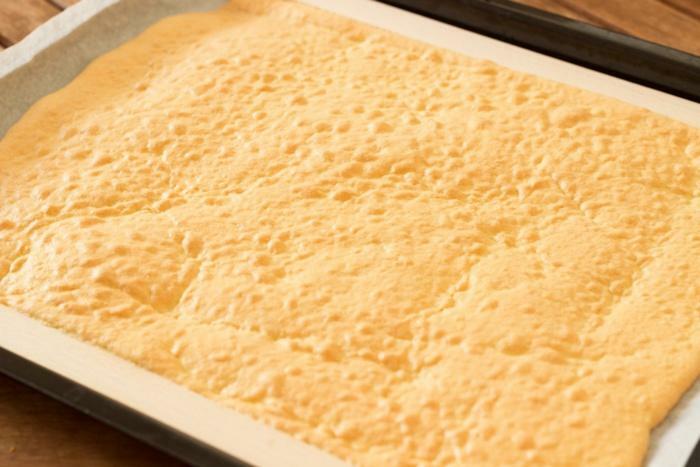 Spread in a thin layer on a baking tray previously covered with greaseproof paper. Bake until coloured a light gold, about 10 to 15 minutes. Monitor baking process after 10 minutes. It took me exactly 12 minutes. 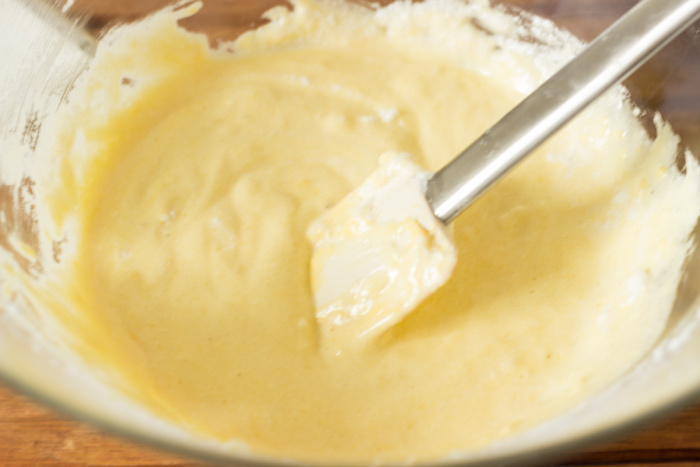 Remove cake from baking paper and replace on top of it. 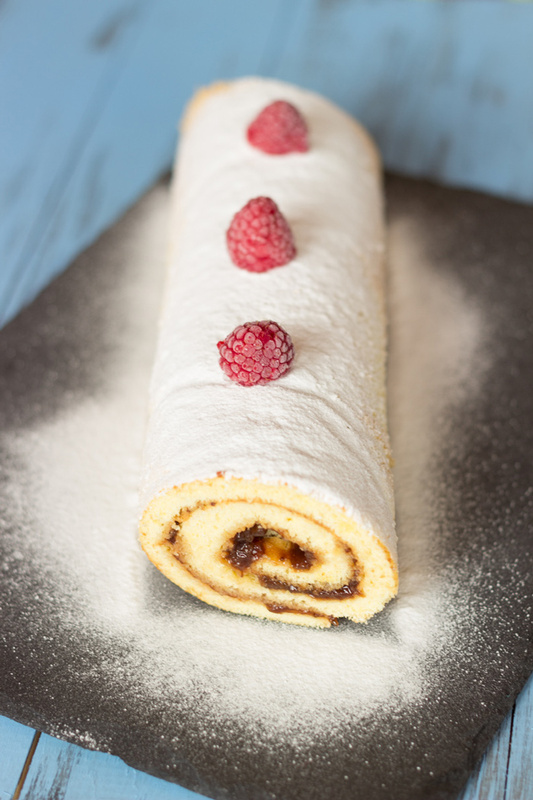 Cover cake with jam and roll cake using baking paper. Remodel your cake if needed. 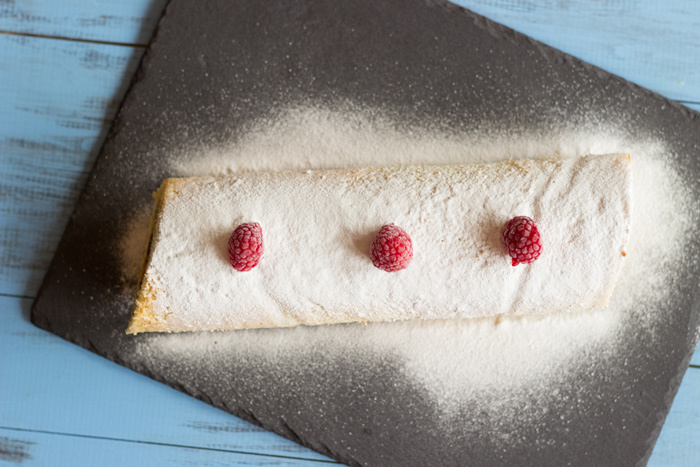 Cut both ends using a bread knife and decorate with some powdered sugar.